They'd like local people & companies who sell quality handmade/homemade items to join them. On Sun 8th May Wigan & Leigh Hospice will be holding a Farmers Market. 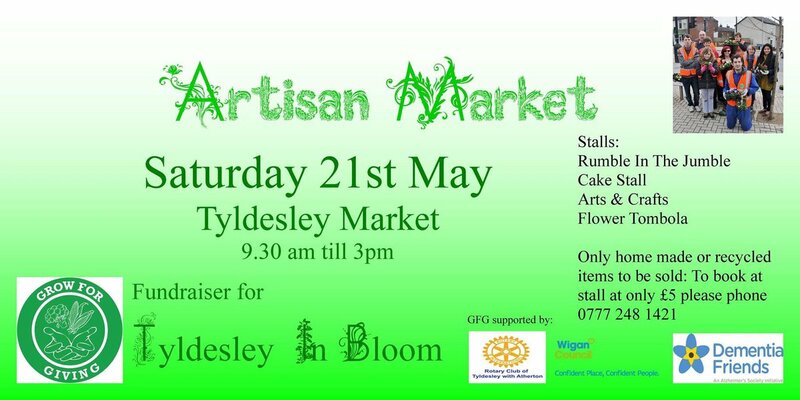 They are looking for stall holders selling fruit & veg, eggs, bread, potatoes, plants & flowers etc. If you're interested in holding a stall at Field Day, please send us a private message with as much detail as possible. New Crochet Class starting on Wed 11th May at 10.30 - 12.30. Cost is £5.00 per class. This class will run alternate weeks so the classes for May are 11th & 25th. The Thursday class on Thur 28th April will be as normal and then transfer to a Wed.
WIRE WORK JEWELLERY class starts Wed 4th May then 18th May & every two weeks after. Classes will be run by Ann Messanger, examples of Ann's work can be seen on Facebook. Would you like a stall at My Life's Royal Street Party, Sun 5th Jun? Would you be interested in doing a stall or activity at our Summer Gala Day? Outdoor pitches and indoor stalls both still available. Just £15 for a standard pitch. Stall holders wanted for a family funday, Sat 3rd Sept, at St Cuthbert's Rugby Club in aid of Wigan & Leigh Hospice. £25 per stall with £15 going to the hospice & you get £10 back on the day. This is an outdoor event. 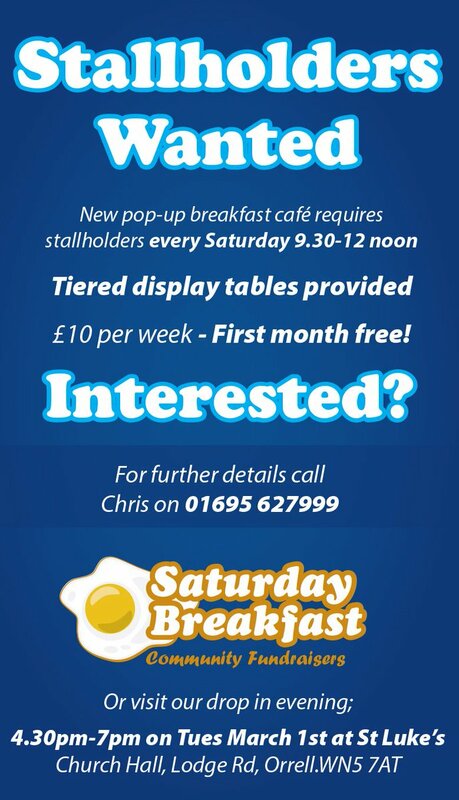 All stall holders will need their own table & gazebo incase it rains. Anyone interested please get in touch.